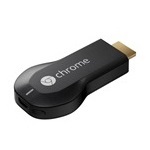 Today's a big day for Chromecast. Earlier today we reported that Google's little magic media stick was ready to stream shows to TVs in Japan and Austrialia. Now we see that the device has also arrived in Belgium, Norway, Portugal, and Switzerland as well. Update: The devices section of Google Play may have just opened its virtual doors in Norway, but the Chromecast has actually been available in the country for two months now. People living in these countries can head over to the Play Store and virtually pick up the Chromecast for 35 euro. Given how the euro stacks up against the dollar, this is more expensive than the $35 we pay here in the US, but it's still less than the price some other parts of the world have been stuck with. And it's definitely cheaper than going out to buy a set-top box or gaming console just to get those media apps up on a bigger screen. For more information, check out the Google Play support page. Also, people in Norway and Switzerland might want to hit up the slew of other devices that are newly available in the Play Store while they're there.